Oddly enough, the experience I have with Fiats is limited to only two models, and we don’t even get them North America: the Punto and the Panda. I drove those two while on vacation in Italy four years ago now. 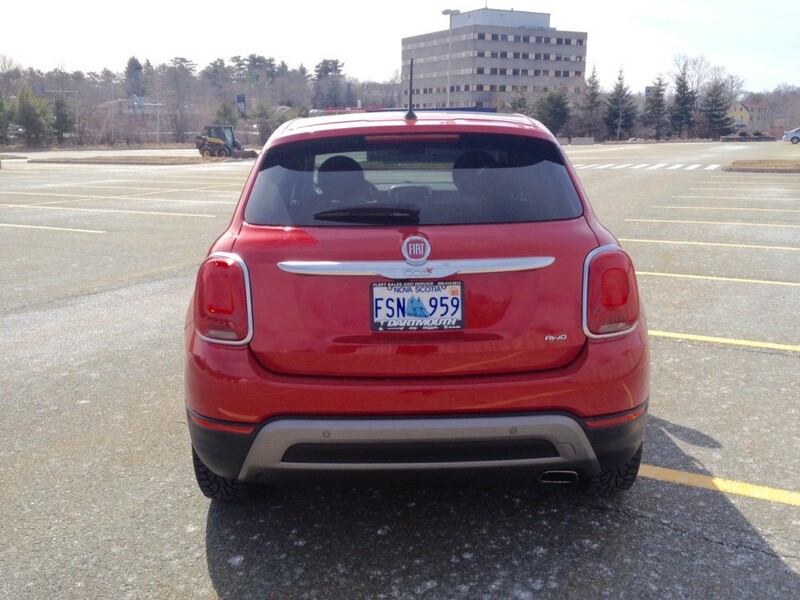 I’ve only had very brief seat time with the 500, which is probably the most recognizable Fiat to most North Americans, but not enough to really form an opinion. I called the Punto “Italy’s Honda Civic” in reference to just how numerous they are in the land of pasta, while criticizing its lack of power and refinement. I was much harsher with the Panda calling it “slow, noisy, unrefined, cheap feeling, bad on gas, has little cargo room, can’t take a corner, can’t pick up speed, has dreadful brakes and generally looks rather stupid”. Ouch. So when I found out that I was getting the latest effort from the Italian car company, I wasn’t exactly enthused, but I was eager to see how far Fiat has come in the past four to five years. There’s no denying that this is a Fiat, and that it’s based on the adorable looking 500 except it looks like it may have taken some steroids (or a pill for erectile dysfunction as Fiat’s marketing department prefers to think of it for some reason). 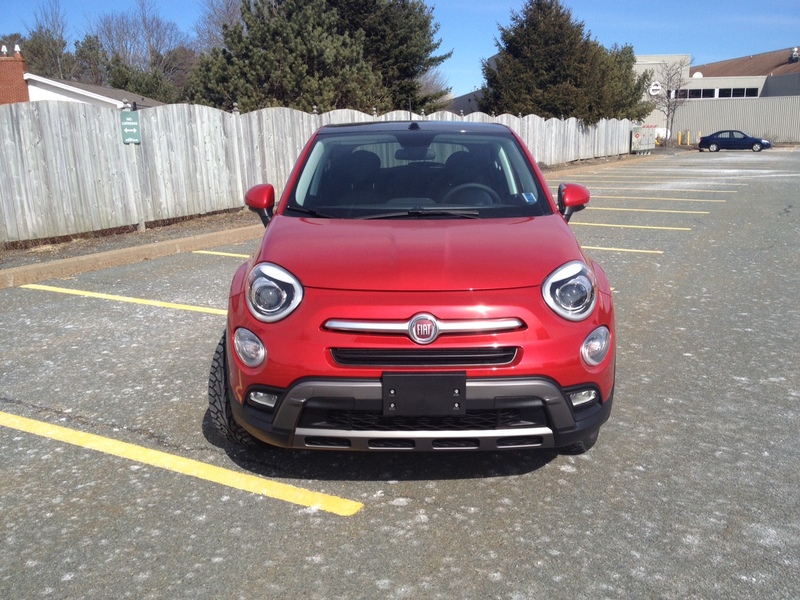 The classic 500 styling complete with the Fiat moustache logo and the circular headlights are blended nicely into the more masculine styling of this compact SUV. While I find the side profile to be a bit cartoonish (though the 18-inch wheels do help), the rear end finishes off the design nicely, even if the tail lights give credibility to Mini to file a lawsuit for copying them. My co-worker seemed to be a fan of the styling, as did many other young women, while men didn’t seem to take much notice. But in a segment where styling can be a bit all over the map from the rather tame looking Honda HR-V to the drop dead gorgeous Mazda CX-3 to the Picasso-looking Nissan Juke, the 500X should fit in just fine with that crowd and the people who buy them. One of the first things you’ll likely notice about the interior is the big fat steering wheel. The rim is nice and thick and in the case of my particular tester, is also heated too. The 500X has quirky Italian design throughout such as the unusual looking door handles to the stacked design of the dash. Visually it looks good but in practice it can be a bit hard to get used to. The controls for the heated seats and steering wheel are so low that they might as well be on the floor while the centre infotainment screen which houses Chrysler’s excellent U-connect system, is placed too high and far out of reach from the driver. On top of that, quality of the interior bits could be more up to snuff. It would be nice if the controls worked 100 per cent of the time too. The dial which controls the drive modes, located between the two front seats, often didn’t respond to command taking up to five tries to get it to switch driving modes. The door handles sometimes took two tries to perform their function and the window for the passenger side also only seemed to work when it felt like it. And yes I did resist making an Italian joke there. 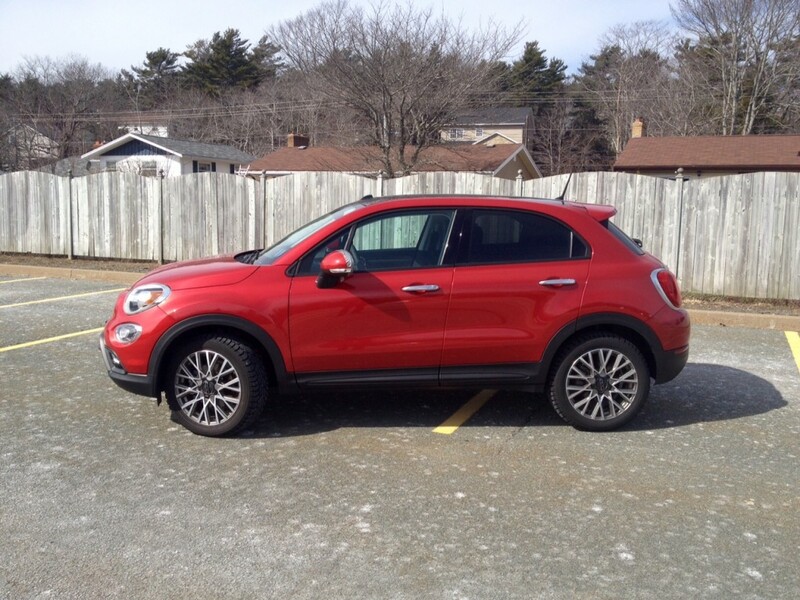 In terms of people and cargo room the 500X performs adequately with most being able to fit comfortably in the back seat, though head room might be a concern considering how tall you are. 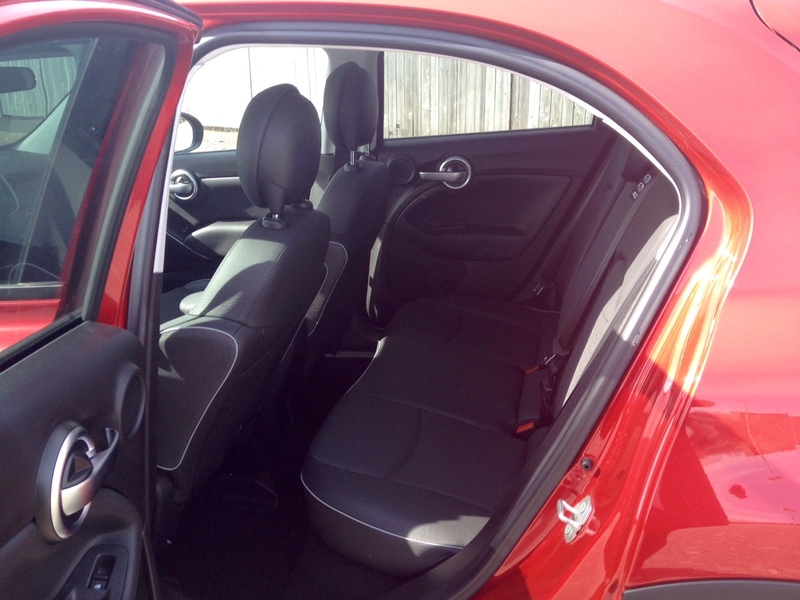 The rear seats do fold however cargo room is still easily bested by the Honda HR-V. Depending on the trim level of your 500X, you get a choice of two engines: a 1.4 litre turbocharged mill which can be mated to a six-speed manual, or a 2.4 litre Tigershark 4-cylinder which makes 180 horsepower and 175 pound feet of torque mated only to a 9-speed automatic. If that powertrain sounds familiar it could be because it’s also found under the hood of certain Jeep Renegades, like the one I tested last year. In that review I said the engine felt slow and buzzy while the transmission seemed as if it needed constant reminding of the fact that it’s one job was the change gears. Unfortunately not much has changed. The engine continues to feel unrefined while the transmission gives no so subtle hints that it would prefer an early retirement. 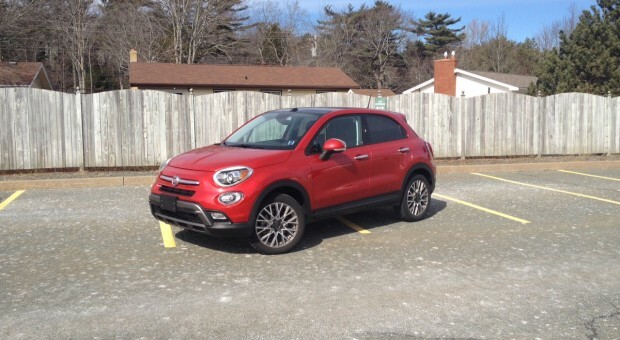 With that being said, the 500X is still more of a joy to drive than the Renegade, especially when you, eventually, get it into sport and track modes. 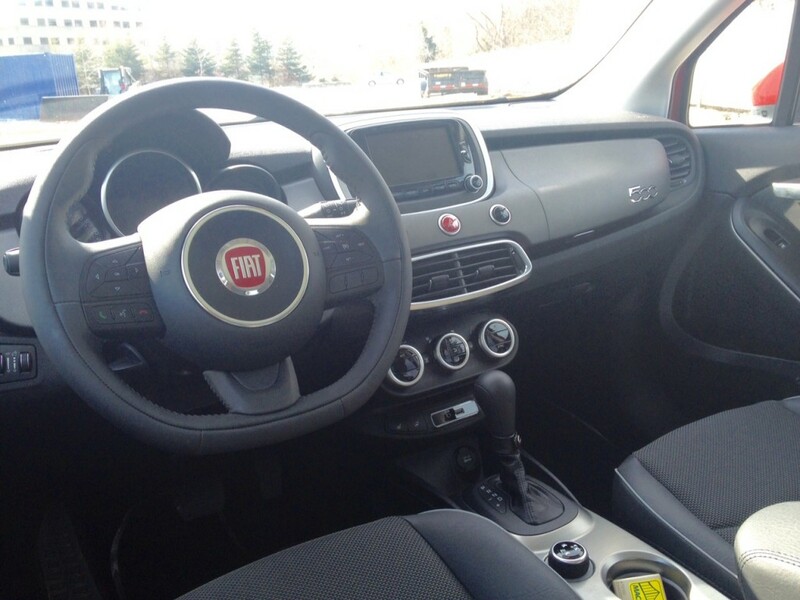 The Fiat changes personalities so completely that it feels as if you are driving an entirely different car. 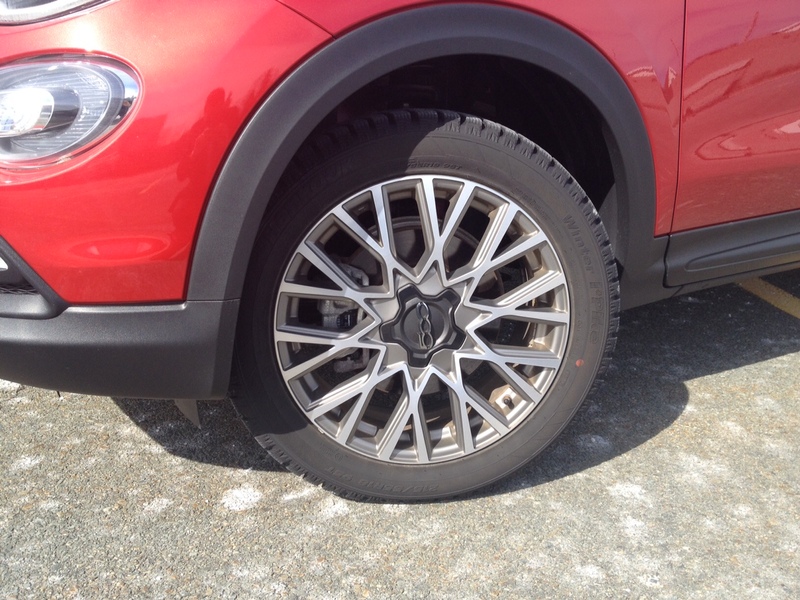 While grip in the corners won’t blow you away, it likely won’t disappoint you too much either, even if the tires themselves, which were Hancooks in this particular case, don’t provide much grip. 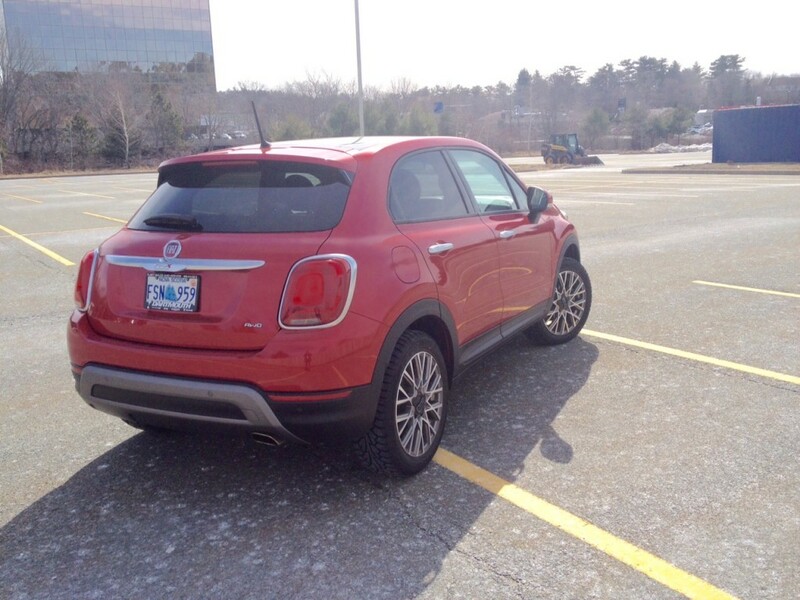 Still, the 500X seems more up to the task than the Renegade does. Fortunately, (or unfortunately depending on how sick you are of winter) I did get to see how it did in the snow. The lack of grip from the tires did let it down, but the all-wheel drive system itself seemed happy to pick up the slack. 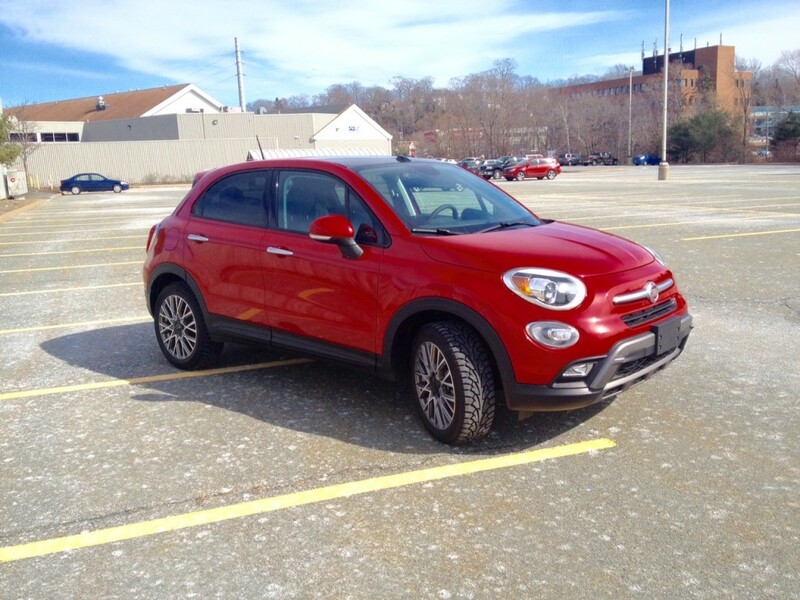 Around town the 500X is completely manoeuvrable as its compact size makes parking a breeze. Outward visibility is good too, though the rear window is a bit on the small side. Thankfully a rear backup camera is happy to help out, however the quality of the picture isn’t the best I’ve seen. Nor was the real world fuel consumption figures I returned at 10.7 L/100 kms in mostly city driving. While that actually beats the 500X’s official city rating of 11.0 L/100 kms, that rating in of itself is well thirstier than some of its immediate competition. The official rating for highway driving is a more reasonable 7.9 L/100 kms. 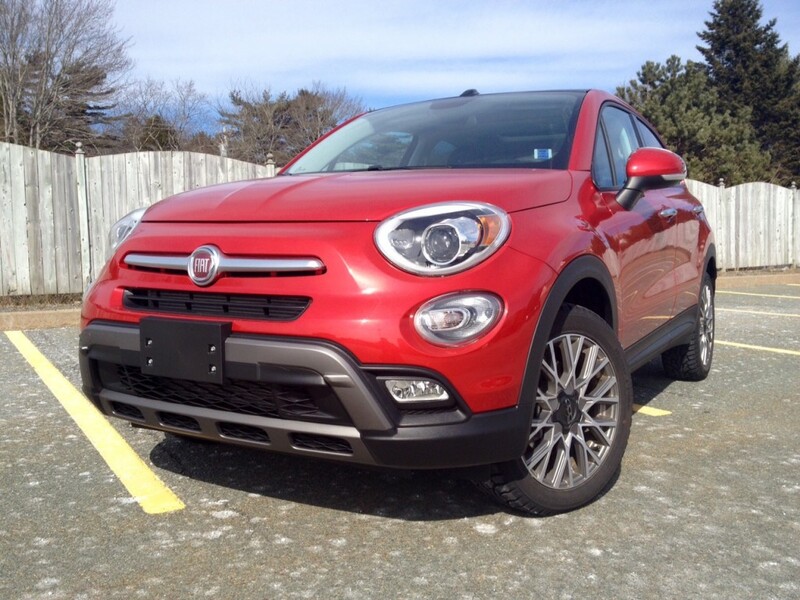 It’s safe to say that this is the best Fiat I’ve ever reviewed, but again, take that with a grain of salt. I’d say I enjoyed the 500X much more than the Jeep Renegade, however that’s a bit like saying that you enjoy getting kicked in the stomach more than in the testicles. Neither is ideal, especially when the competition from Honda and Mazda are so much more appealing in terms of cargo room for the former and performance for the latter. But what those two don’t have is the same character of the Fiat. If you read my review of the Punto and Panda, you’ll find that despite my hurling awful adjectives at them to describe them, I ended up liking both. How can you like such an awful car? Well its awfulness becomes a bit endearing after a while. It’s a bit like a big dumb dog who has no idea how to get by in life without humans. If somewhere were to take him away from you, you’d be rather upset. 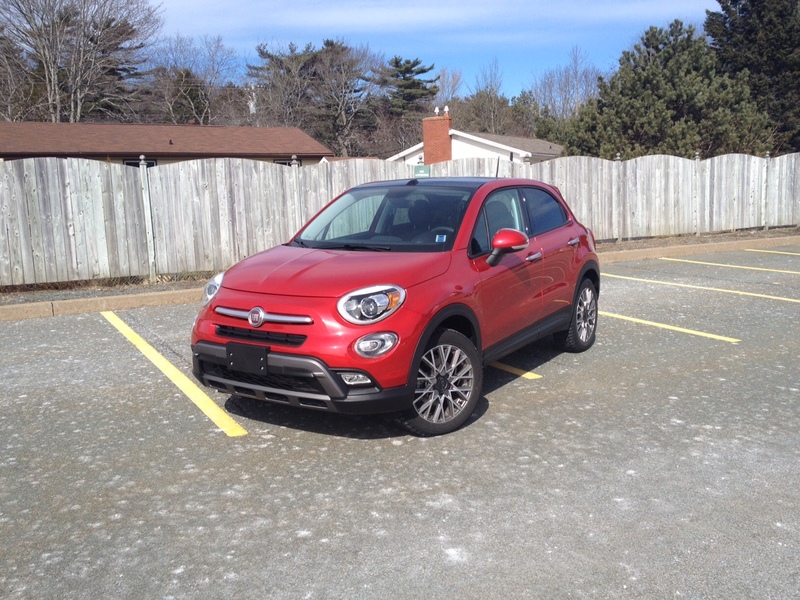 And while the 500X doesn’t have that same kind of loveable personality that the Panda has, it certainly has something that is hard to ignore – something that might just be prevalent in all Fiats. And for some, that very well could be the driving factor to buy one. That is, until they see the as tested price. And I’ll just leave it there.